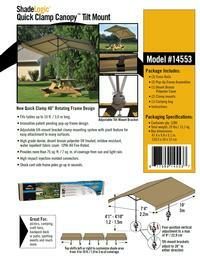 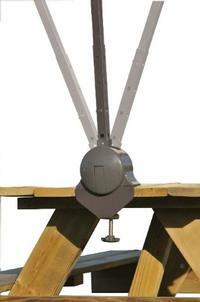 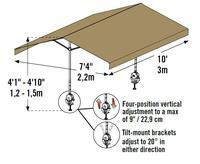 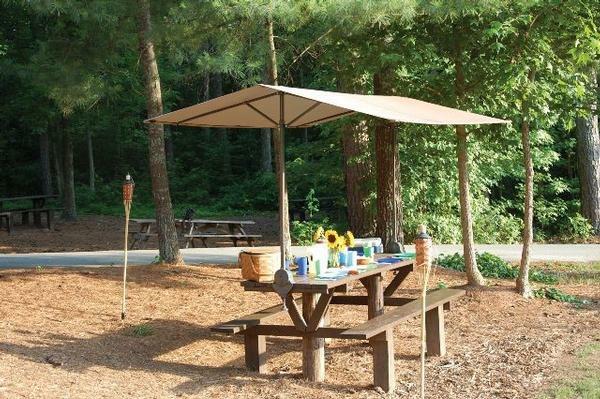 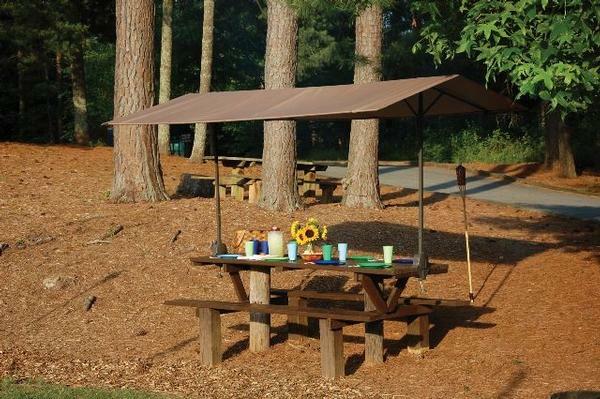 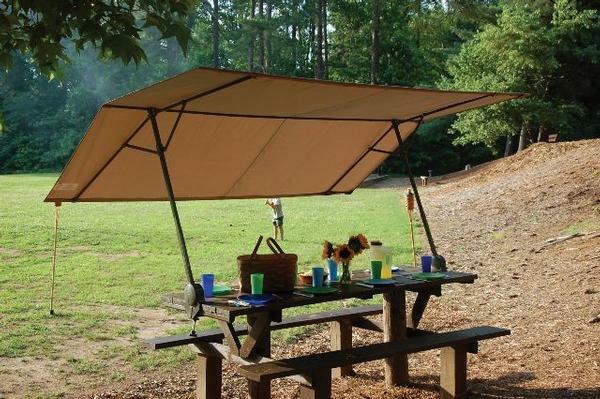 Our Innovative Patent Pending canopy measures 7'x10' and has a vertical adjustment up to 9' high. 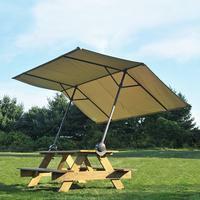 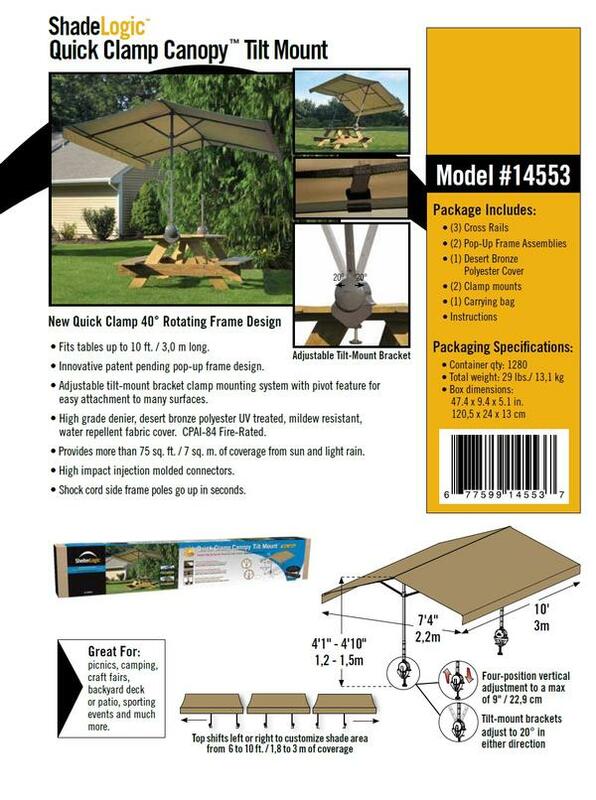 Provides more than 70 square feet of coverage from the sun and rain. 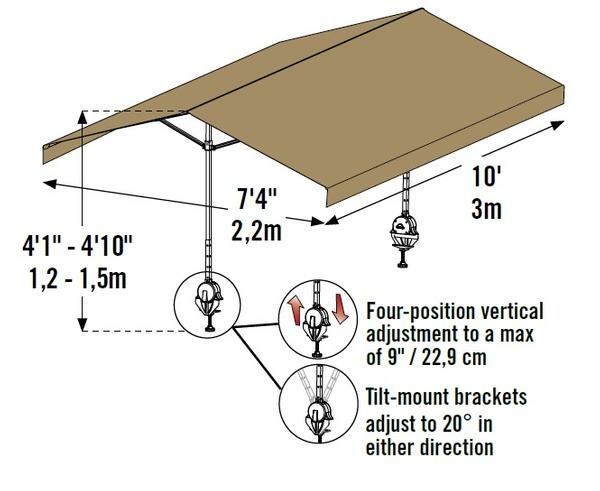 Fits tables up to 10' long. 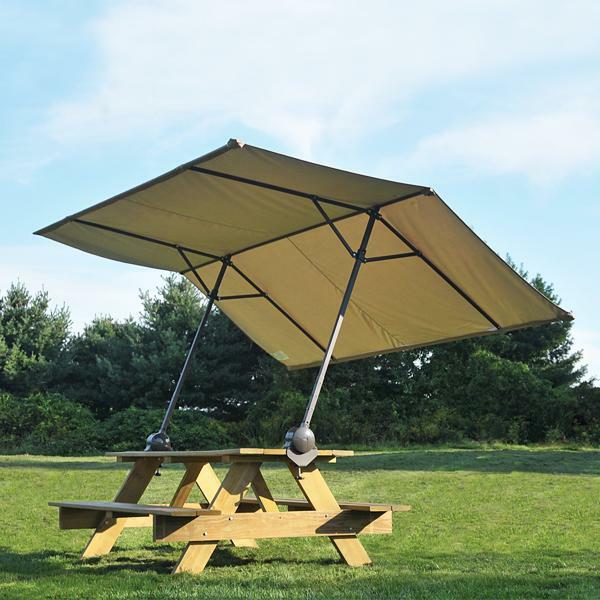 This new model also includes our new adjustable tilt-mount bracket that adjusts 20 degrees in either direction to provide more sun protection. 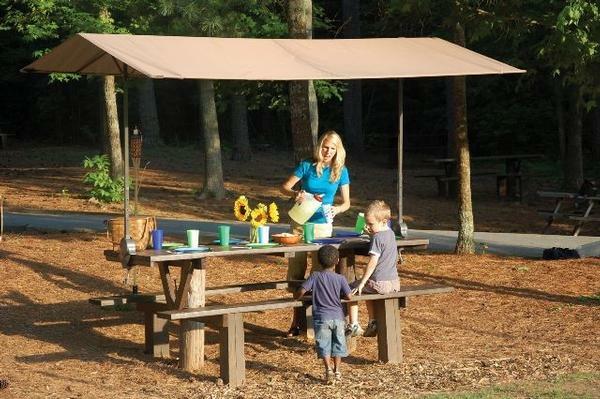 Comes with a Tan color UV treated mildew resistant water repellent polyester fabric cover.